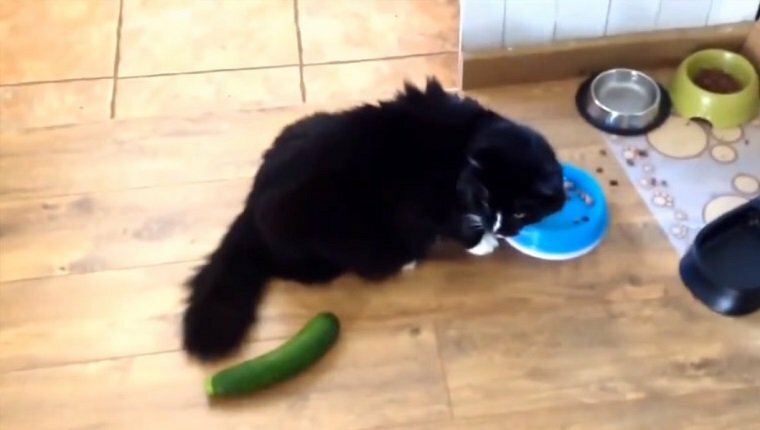 There’s been a trend on the internet lately of owners posting videos of their cats being startled by cucumbers as they are eating. It’s a strange reaction to a harmless vegetable, and lots of people laugh about it. Mostly people take it as a harmless prank, but there’s a problem. Cats don’t really understand pranks. As far as cats are concerned, something has suddenly invaded their space at one of their most vulnerable times, when they are eating. This causes a high amount of stress and can lead to cats hurting themselves, breaking things, or carrying anxiety for days. A cat’s feeding area should be a safe place where she can feel comfortable. Ruining that for a few seconds of amusement isn’t fair to the cat. Before you try the cucumber prank, think about what you’re doing. You are causing fear in an animal for your own entertainment. You can’t explain to a cat that it was all a prank. And you can comfort your cat all you like, but they remember things and can learn to distrust easily. Work to create positive associations with meal time and your kitty will be much happier. Cats do enough funny, entertaining things on their own without your help, so just sit back and enjoy the show. What do you think? 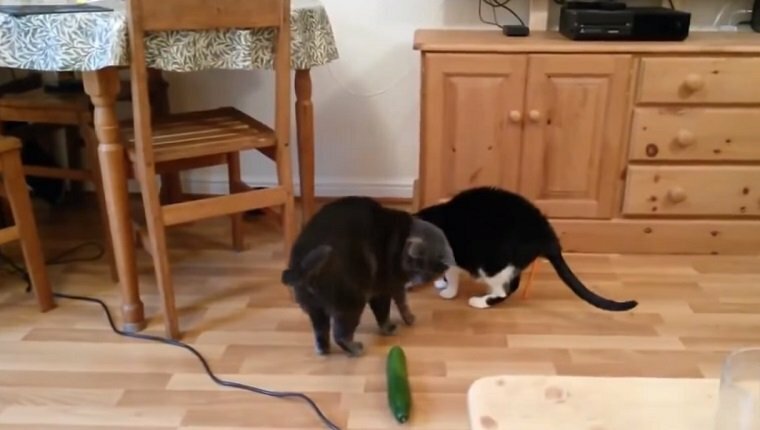 Is the cucumber prank harmful to cats? Let us know in the comments below.